Providing you the best range of step up transformer, three phase constant voltage transformer, single phase constant voltage transformer, cvt single phase transformer and isolation transformer with effective & timely delivery. We are offering Step Up Transformer to our clients. Vi electric strength: 2500 v AC for 120 sec. 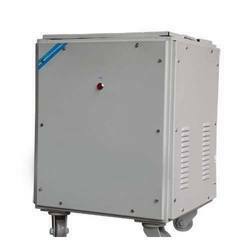 Our team is expert enough to manufacture Three Phase Constant Voltage Transformer, complying to the set norms and regulations of the industry. 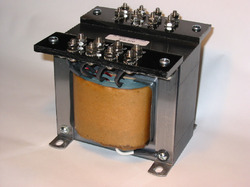 This range of transformers is made of quality-approved raw material and cutting-edge technology. Hence, our products are appreciated for long service life and outstanding performance. Efficiency: > 85% With F.L., > 85% With F.L. We are offering Single Phase Constant Voltage Transformer to our clients. 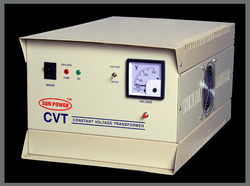 Customers can avail from us CVT Single Phase Transformer having a range from 0.5 KVA to 5KVA. This range of products is manufactured complying with the set norms and regulations of the industry. Used in several households and offices, our products are checked on the basis of various recommended parameters. We also pack the products with standard material for a safer transaction to the customers. Our domain expertise has enabled us to offer superior quality Isolation Transformer. These transformers are fabricated by making use of superior quality raw material and sophisticated machines. We offer these transformers in different specifications to meet the diverse requirements of our clients. The offered transformers are also tested on various parameters so as to ensure their adherence with set industry standards and norms.